This burgeoning drinks district is growing by leaps and bounds, with more boutique wineries opening their doors, plus a new cider house, artisan ice cream shop and local pasta maker. 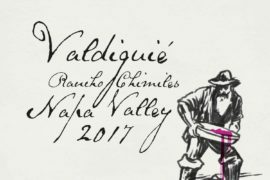 Looking for a tasty $20 Paso cabernet? At the Fableist Wine Company, every bottle — from chardonnay to tempranillo — clocks in at $20, with eye-catching, botanical labels inspired by Aesop’s Fables. Fableist is just one of the new collaborations from Sans Liege winemaker Curt Schalchlin and Field Recording’s Andrew Jones. Tin City Cider Co. — another Schalchlin and Jones project — shares a building with the Fableist. Stop by the taproom to try a pint or a four-cider flight. And don’t miss the flagship Original Dry Hopped cider, which is dry-hopped twice, resulting in a crisp, clean, aromatic drink. Sans Liege, which opened a Tin City tasting room last summer, is Schalchlin’s homage to Rhone wines, with intricate label art inspired by Dante’s Inferno. 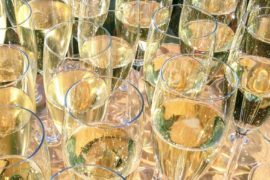 And Jones recently moved the Field Recordings winery and tasting room from the edge of Tin City into a more central location. But wait, there’s more: You can scream for ice cream at Negranti Creamery, which opened a scoop shop here last fall, serving up its signature sheep’s milk ice cream and other frozen treats. Try a scoop or two of the decadent salted brown sugar ice cream in a crisp waffle cone. Or head to Etto Pastificio to watch ribbons of housemade pasta, made with West Coast organic durum semolina flour, emerge from extruder molds. In Italian, etto means 100 grams, the suggested pasta serving size per person. You’ll want to take home a few etti of these flavorful, wonderfully textured dried or fresh noodles. 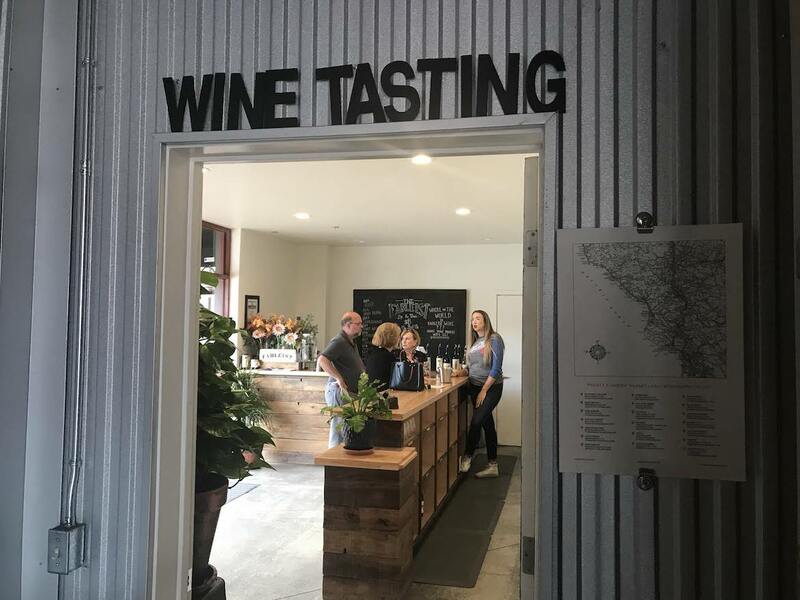 Open since September, Justin Vineyards‘ downtown tasting room features wine-video wall art and food pairings, all without the long, twisty drive out to the winery. Sip at the bar or enjoy a seasonal wine and bites pairing flight. LaZarre Wines is the square’s newbie. Adam and Angie LaZarre opened their first tasting room in mid-October, setting up shop in the front room of Thomas Hill Organics’ stylish restaurant. The LaZarres focus on small lot, self-styled “badass” wines, including pinot noir, merlot and albarino from Central Coast vineyards. Be sure to stop by the Herman Story Wines’ tasting room for seriously good wine, with cheeky names and labels. Enjoy Casual Encounters with a red Rhone blend. Sip a Bolt Cutter-strength cabernet sauvignon, petit verdot and syrah mashup. 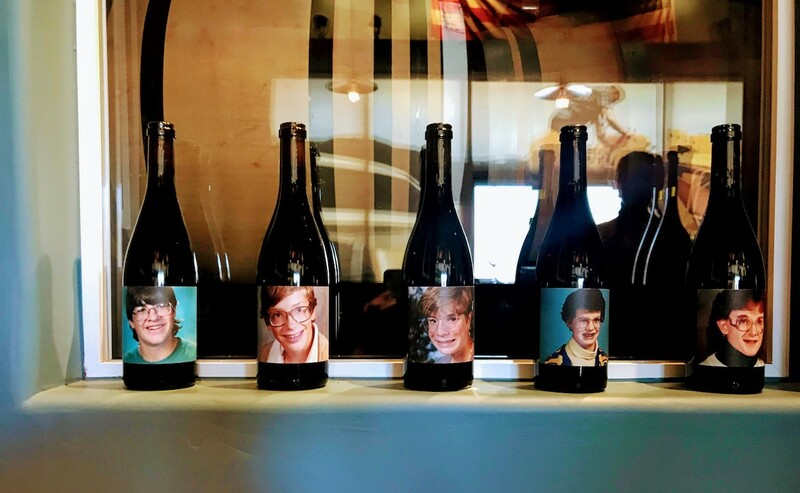 Don’t miss the nerdy high school yearbook photos that grace the Late Bloomer Grenache. Sans Liege: Open daily at 2995 Limestone Way; www.sansliege.com. Field Recordings Wine: Open daily at 3070-C Limestone Way; https://fieldrecordingswine.com. Tin City Cider Co.: Open daily at 3005 Limestone Way; www.tincitycider.com. Negranti Creamery: Open Thursday-Sunday at 2989 Limestone Way; www.negranticreamery.com. Etto Pastificio: Open Thursday-Sunday at 3070 Limestone Way; www.ettopastificio.com.Justin Vineyards and Winery Downtown Tasting Room: Open daily at 811 12th St.; www.justinwine.com.LaZarre Wines: Open Thursday-Sunday at Thomas Hill Organics, 1313 Park St.; www.lazarrewines.com.